Priscilla – Queen Of The Desert the Musical has a message that is beautiful and inspirational. It is a message of unconditional love with no borders and prejudices. That life is to be lived to the fullest regardless of race, color, religion or orientation. Support your life style choices, support the musical that inspires you to embrace these choices. It’s time to show your true colors!!!! Now!!!! 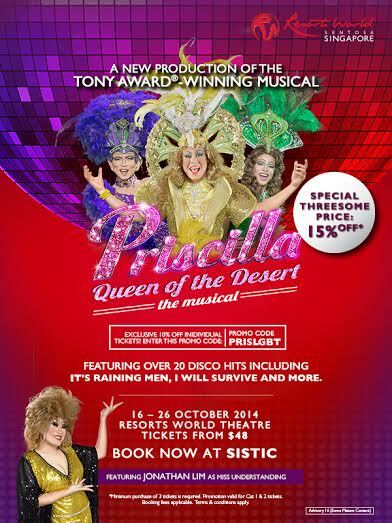 Priscilla – Queen Of The Desert the Musical is all that and more!! !